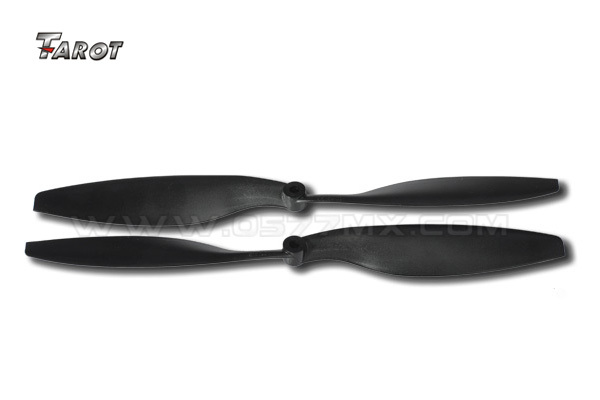 The high-efficiency propeller is suitable for multi-rotor aircraft in high payload flying. The plastic mold use Switzerland MIKRON multi-axis CNC made, very high precision. TAROT also optimize the efficiency and loading rate. The material use high quality PC injection. To ensure a good flexibility and wing stability. Orange in the air with the most Eye-catching and easy to distinguish. Recommand use black or orange with transparent paddle.